I only introduced this feature yesterday, but the feedback was so positive I've decided to delve into the vault once more. As a kid I played T-Ball. Where I played ball, you played T-Ball before "graduating" to softball. The thing about T-Ball was there wasn't three outs to an inning. You batted through the entire order each inning, so strategically you'd benefit from having your best hitter bat last. 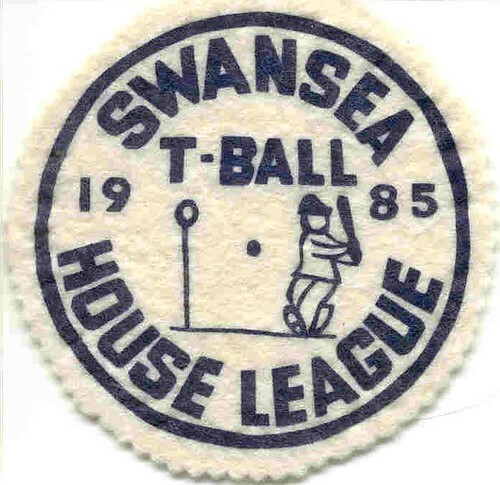 In 1985, I played house league T-Ball at Swansea's Rennie Park. Here's the crest they gave me for participating. I'm proud to say I batted last that season and moved on to softball in 1986.